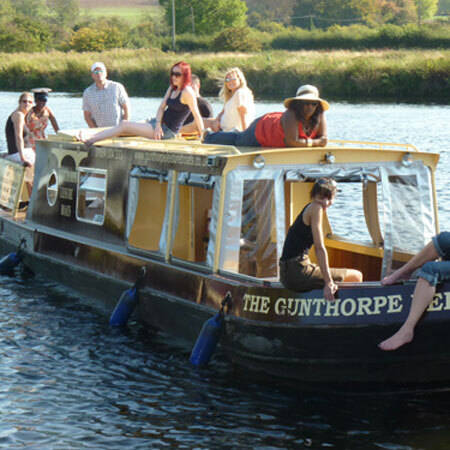 Welcome to Gunthorpe Leisure Boats. This festive season, treat your loved ones to something they’ll never forget. Wrap up warm, sip a glass of mulled wine, and watch the stars go by over head. 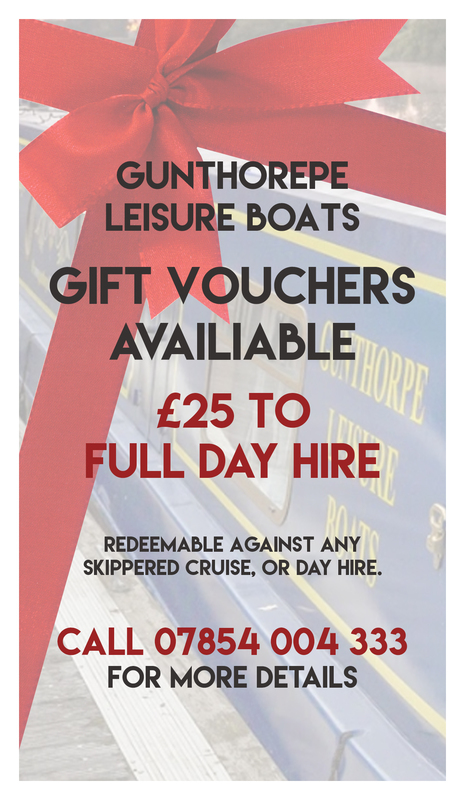 It’s never been a more perfect time to come aboard with Gunthorpe Leisure Boats. We offer vouchers to make someones perfect Christmas at any value. 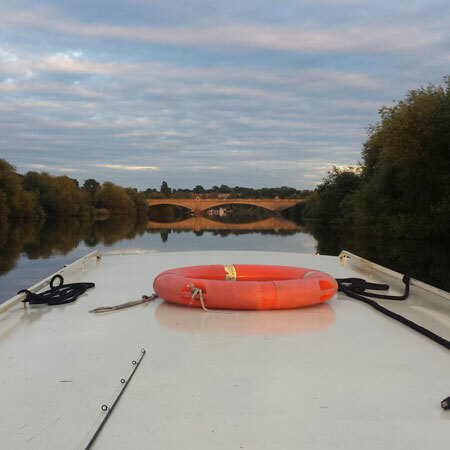 A quick voyage up and down the beautiful River Trent, or a full day to relax and unwind. 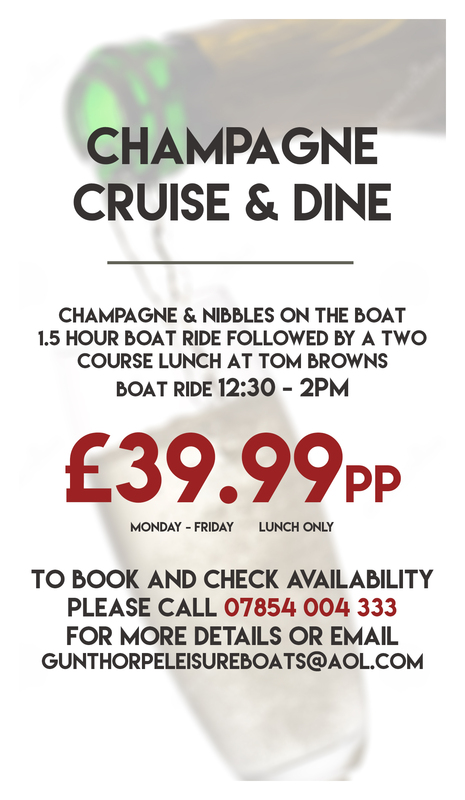 If you fancy something really special, how about our Champagne Cruise & Dine. From £39.99, it’s makes a perfect present. 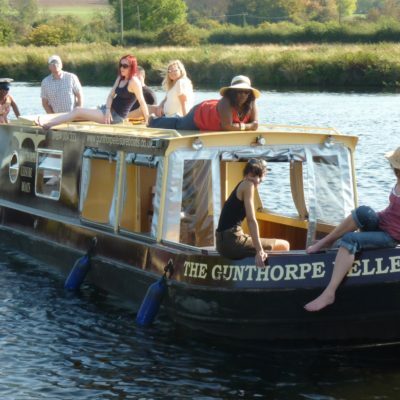 Gunthorpe Leisure Boats Limited launched its first boat ‘The Gunthorpe Belle’ on the River Trent at Gunthorpe Marina in Spring 2011. 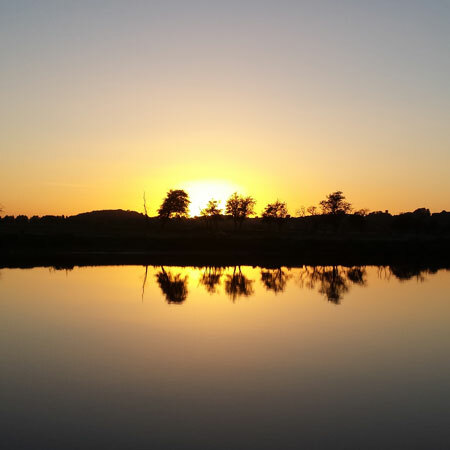 This was closely followed by her twin sister ‘Gunthorpe Star’. 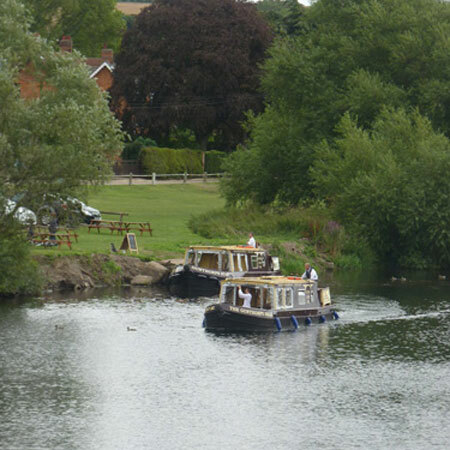 Both boats are purpose built wide beam narrow boats and are available for skippered cruises. 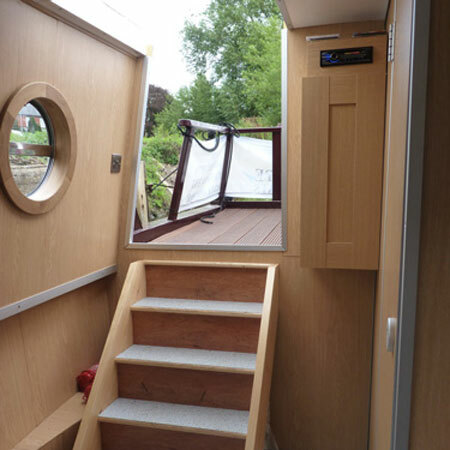 Both are licensed to carry up to 12 passengers and dogs are welcome aboard. 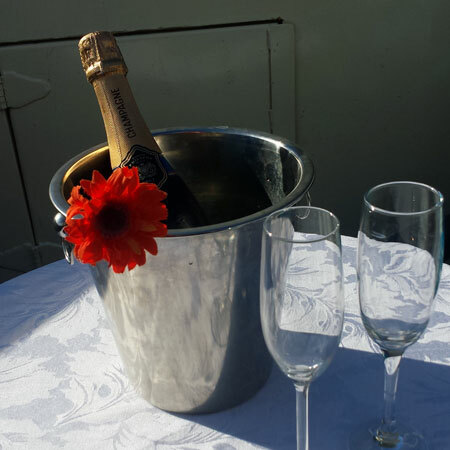 Skippered cruises allow you to sit back and relax. 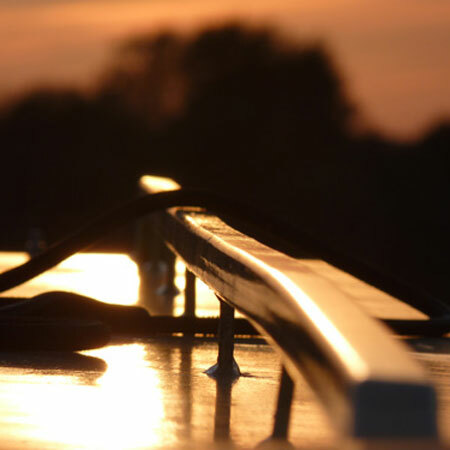 The boats are designed to travel at a leisurely pace and have a top speed of 8 knots. They are fully equipped with heating, flush toilet, fridge, sink, hob and mood lighting. There is also an i-pod docking station/cd player and surround sound speakers for you to bring your own choice of music. 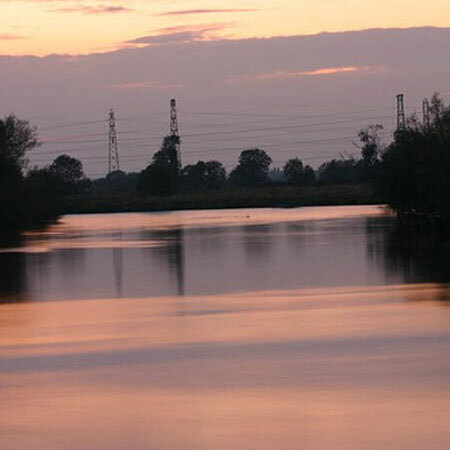 Can't recommend Gunthorpe Leisure Boats highly enough, we'll be back soon!! Booked this as part of my hen do, champagne, sunsets and my best friends. Heaven!